If you store useful and sensitive electronic information on a hard drive, flash memory drives or USB hard drives, there are many dangerous situations for your data information loss such as virus attacks, accidental loss or corruption of a database, files deletion, hard disk failure and many others. Only imagine that your valuable data is damaged due to one of these actions and you don't have an access to your important information. SoftAmbulance is here to offer you SoftAmbulance File Recovery - the ideal solution if you have no idea how to recover your files. 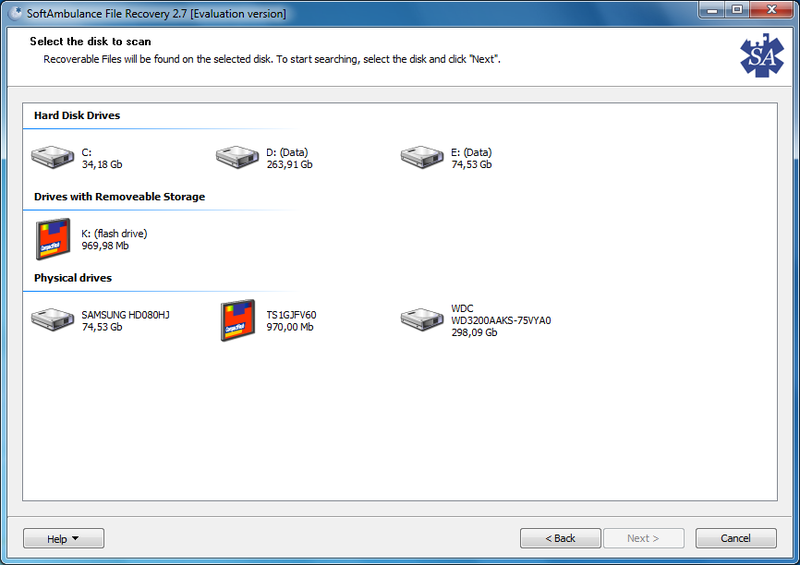 You don't need to search for reliable data recovery services any more. Now you can easily recover deleted files from a hard drive, USB or flash memory devices: everything what is necessary is to install SoftAmbulance Uneraser on your computer. By using a sophisticated data recovery technology, our software retrieves such popular file types as ZIP and RAR archives, digital pictures, music and videos. 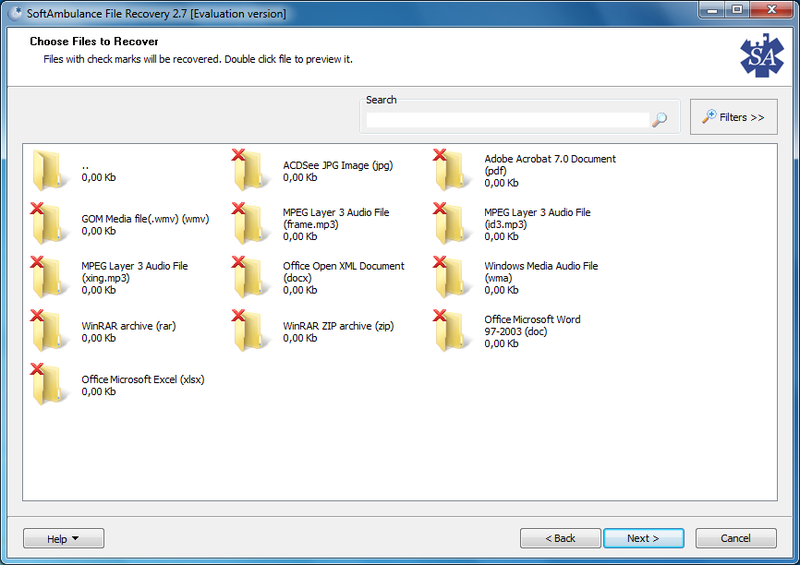 And irrespective of file formats our program recovers deleted files from a hard drive without any hassles. SoftAmbulance Uneraser is easy-to-use data recovery software, which has user-friendly interface, so you can recover data from an USB hard drive without any substantial efforts. Also you get the opportunity to download free trial version of our program and try its efficiency before the initial purchase. SoftAmbulance File Recovery is the most convenient and advanced software to easily recover deleted files and it's no matter how badly damaged your data is, we will help you to recover effectively data from an USB hard drive, HDD or any other storage media. 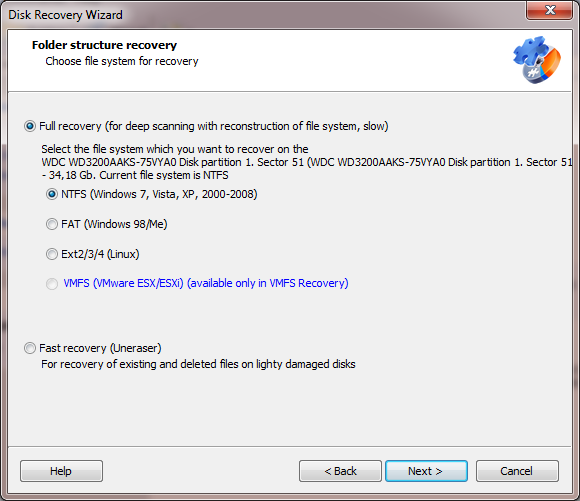 In case you need also recover damaged or deleted partition or logical disk, try our Partition Doctor. It packs everything SoftAmbulance Uneraser have and also can recover corrupt or lost partitions even if data is overwritten with another filesystem.